Kris is a business man, transformation specialist, and much, much more. Kris is originally from Wales in the UK, but now spends the majority of his time in the United States. 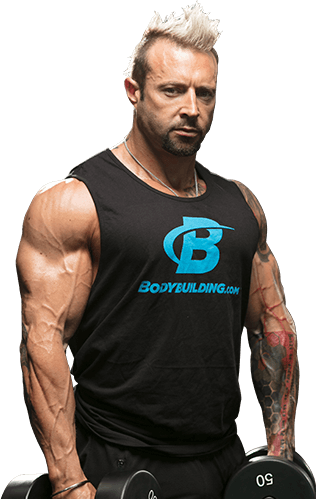 Kris' hectic schedule sees him travelling the globe hosting seminars, workshops, and exhibitions at several bodybuilding and fitness events throughout the year. He works with and trains the best of the best, passing on his knowledge and techniques to his fans, followers, and subscribers. His passion and determination for building a better, stronger, healthier body and mind pushes him to achieve great things for himself physically and mentally, thus enabling him to motivate and inspire his followers and fans across the world to achieve greatness for themselves. 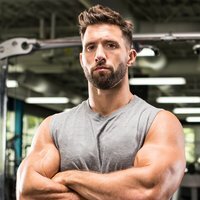 Kris has transformed millions of physiques through his immensely popular video series shown on Bodybuilding.com, including the immensely popular 12-Week Muscle-Building Trainer and the intense 4Weeks2Shred program. 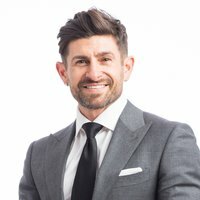 He is the author of many books including the best-seller "Body by Design," "The Adventures of KAGED MUSCLE," and "The Transformer" which was released in January 2016. Kris' books and graphic novels have received global praise and have helped and inspired millions of readers. 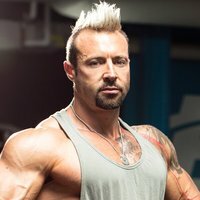 Kris is the founder of the DTP training method, director and co-founder of Gethin Gyms, and former editor-in-chief of Bodybuilding.com. 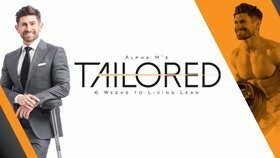 He is the Director of Trainers for Physique Global and CEO of the supplement brand KAGED MUSCLE which ships worldwide and is one of the highest rated and reviewed supplement companies in the world. Gain access to Kris PLUS over 50 other expert-designed fitness plans.